(Macao, Aug 11, 2016) – When visitors arrive at The Parisian Macao, the newest stunning addition to Sands Resorts Cotai Strip Macao, they will be greeted by a world of fabulous flavours, including the finest in French dining, quintessential cakes and patisseries, delicious local dishes and traditional delicacies. Whether you crave an authentic snack, a family feast or romantic candlelit dinner, The Parisian Macao has every culinary base covered. Inspired by Paris, the famed “City of Light”, the integrated resort, opening Sept. 13, 2016, will offer seven stellar restaurants, each offering deliciously different cuisine and ambience. Under the leadership of executive chef Alex Gaspar whose cooking philosophy is “always use the best ingredients and let them speak for themselves”, diners will find the new resort hotel an exciting hot spot for international gourmet cuisine. And whether you’re looking for an afternoon of casual French flair, or an authentic Paris-style backdrop to a special occasion such as a birthday, anniversary, or even a marriage proposal, The Parisian Macao guarantees a memorable culinary experience. A Chinese restaurant incorporating intriguing French elements, La Chine is at the 6th floor of the Eiffel Tower, The Parisian Macao and offers an elegant and sophisticated venue to enjoy a romantic fine-dining experience. Guests can enjoy a full view of Cotai Strip and the beautiful Venetian in this vibrant and immersive restaurant while sampling a variety of regional Chinese-inspired food executed with a uniquely modern flourish. La Chine is definitely the place to celebrate special occasions! Signature dishes include caramelised pineapple tart tatin with coconut ice cream, sea crab tartar with avocado salad and traditional garlic vinegar dressing and roasted duckling a l’orange. The signature Chinese restaurant Lotus Palace features a varied selection of fresh seafood, premium hot pot, signature dim sum and provincial Chinese dishes, as well as pan-Asian and Cantonese favourites. With a spacious and modern environment with four private dining rooms, guests can enjoy a quiet and intimate space for gatherings or celebrations. 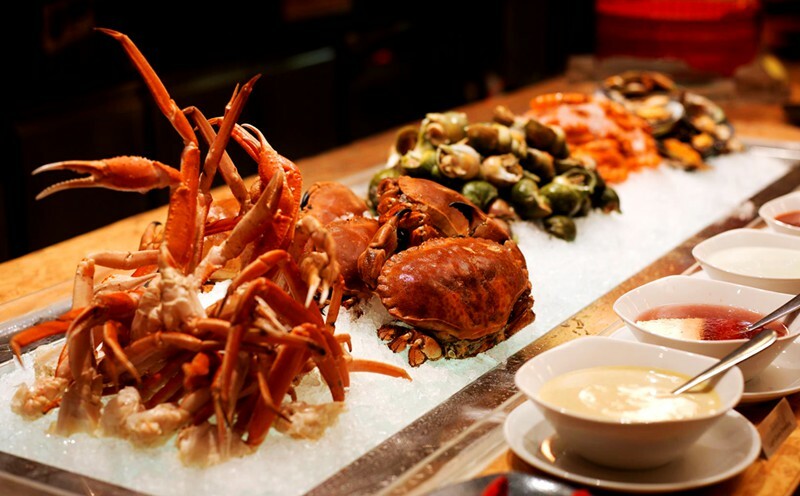 Highlight dishes include baked Alaskan king crab with ramen noodles and crab roe, fried Sri Lanka big crab with garlic and red chili “Bi Feng Tang”, and scallops cooked three ways. Offering all-day dining, guests will relish the authentic French flavours at Brasserie. Featuring classic café favourites from Paris, Brasserie’s kitchen team is led by Daniel Brolese, an experienced French chef who ensures the authenticity in flavours. Asian guests can experience the real Parisian “Joie de vivre” here. Signature dishes include galette complète, a buckwheat crepe filled with emmental cheese, fried egg and Paris ham with a green salad, moules a la crème – steamed mussels in white wine, shallot and cream sauce with french fries, steak au poivre, black pepper crusted fillet mignon in cognac creamy pepper sauce and french fries and much more. Featuring a European marketplace theme, Le Buffet includes live cooking and a display of fresh ingredients used to prepare the signature items for each food stall. It offers French, Chinese and international cuisine. A fun atmosphere and entertainment add to the restaurant’s charming ambience. Known for eclectic and affordable menus that uniquely blend Hong Kong and Western cuisine, the classic tea restaurant, or cha chaan teng, is one of the most common and popular casual eateries in Hong Kong, Macao and Guangdong Province. Café Express is a tea restaurant featuring classic favourites and signature items prepared by a team of talented Macanese and Hong Kong chefs. Enjoy a cup of freshly prepared Hong Kong-style milk tea in this comfortable environment! Market Bistro is a noodle shop open 24 hours which evokes the colour and excitement of a traditional Asian night market. It features a variety of freshly prepared Macau, Hong Kong and Vietnamese cuisines. The Parisian Pool Café is an alfresco café which offers comfort food and refreshing beverages for guests who want to chill out during their trip. Next to The Parisian Macao’s exquisite outdoor pool, with a unique viewing perspective on the half-scale Eiffel Tower, guests will find it easy to imagine themselves in Paris enjoying an hors d'oeuvre. With so many restaurants to explore, there is something to thrill even the most demanding bon vivant at The Parisian Macao. Bon appetit! 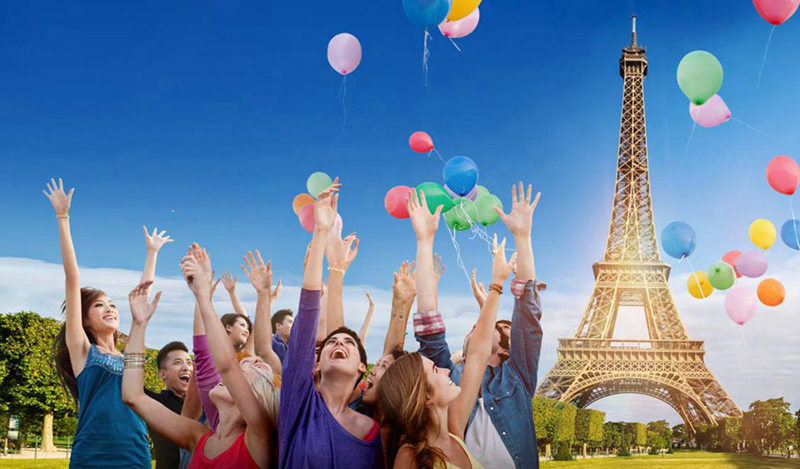 For the most updated information about The Parisian Macao, please visit www.ParisianMacao.com. Photo caption: The Parisian Macao, the latest addition to Sands Resorts Cotai Strip Macao, is set to be unveiled on September 13, 2016. The new integrated resort will offer guests a gourmet journey to Paris with a touch of Asian magic. Photo caption: When visitors arrive at The Parisian Macao, they will be greeted by a world of fabulous flavours, including the finest in French dining, quintessential cakes and patisseries, delicious local dishes and traditional delicacies. Whether you crave an authentic snack, a family feast or romantic candlelit dinner, The Parisian Macao has every culinary base covered. Opening Sept. 13, 2016, The Parisian Macao is an integrated resort inspired by the magic and wonder of the famed “City of Light.” Featuring a half-scale sophistication imitation of the Eiffel Tower, The Parisian Macao offers approximately 3,000 guest rooms and suites and a full array of integrated resort facilities, including meeting space, restaurants, spa, kids’ club, health club, pool deck, and a 1,200-seat theatre. The 300,000-square-foot Shoppes at Parisian retail mall offers the latest in fashion and couture in a setting reminiscent of the streets of Paris, with an eclectic mix of street artists, mimes, and buskers heightening the authentic experience. Visitors can stroll among formal gardens, fountains, hedge mazes and reflective pools, and enjoy carousels, arcades and bistros.